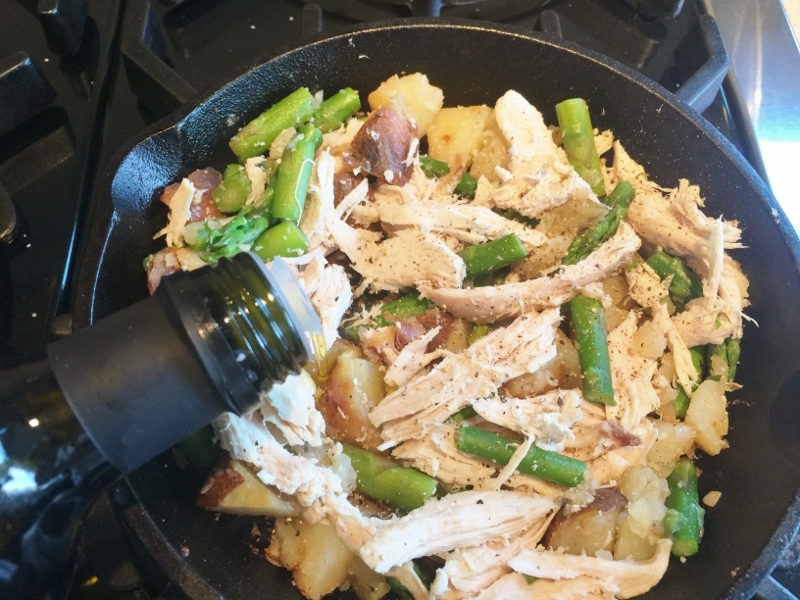 Chicken, Asparagus & Potato Hash - Recipe! - Live. Love. Laugh. Food. Weekends are made for brunching and using leftovers to create a nice spread for friends is just genius. After preparing my Roasted Organic Chicken, I had a few leftovers and I definitely didn’t want any of them to go to waste. 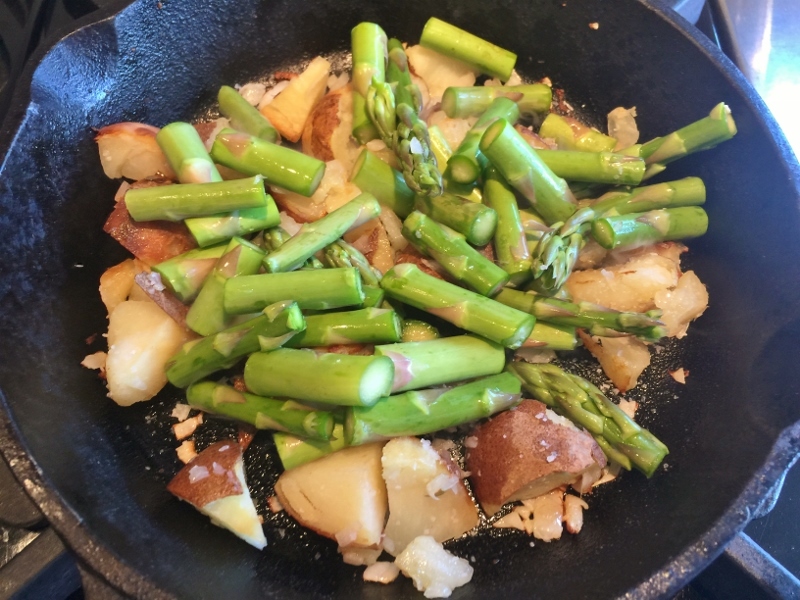 So, I decided to prepare a one-skillet breakfast using chicken, some cooked potatoes and fresh asparagus. 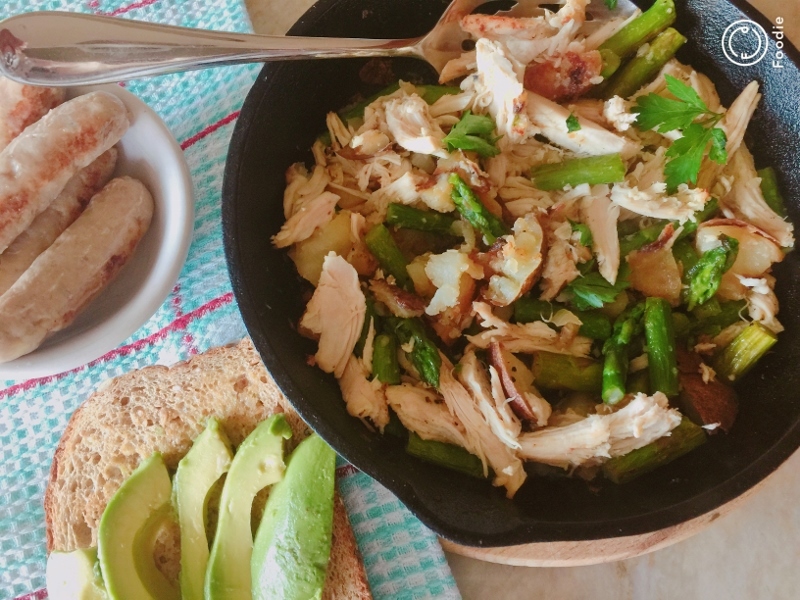 Hash recipes usually involve potatoes, but they can be so much more like in this recipe for Chicken, Asparagus & Potato Hash. 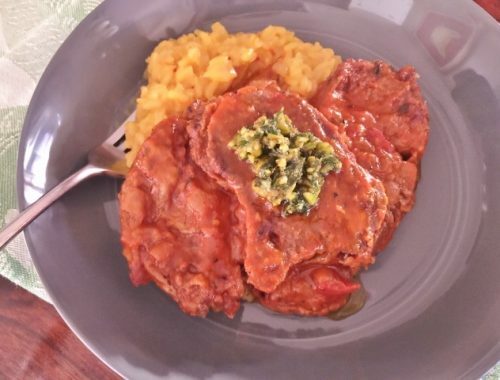 The ingredients are already at your fingertips and if they’re not, you can always grab a rotisserie chicken at the market, and microwave up some potatoes to prepare a wonderful meal. I decided to not go the egg route, but you can always steam some eggs on top to create an even more decadent skillet. Social Sundays are so much fun – much more casual; including the food, dress and mood of your guests. 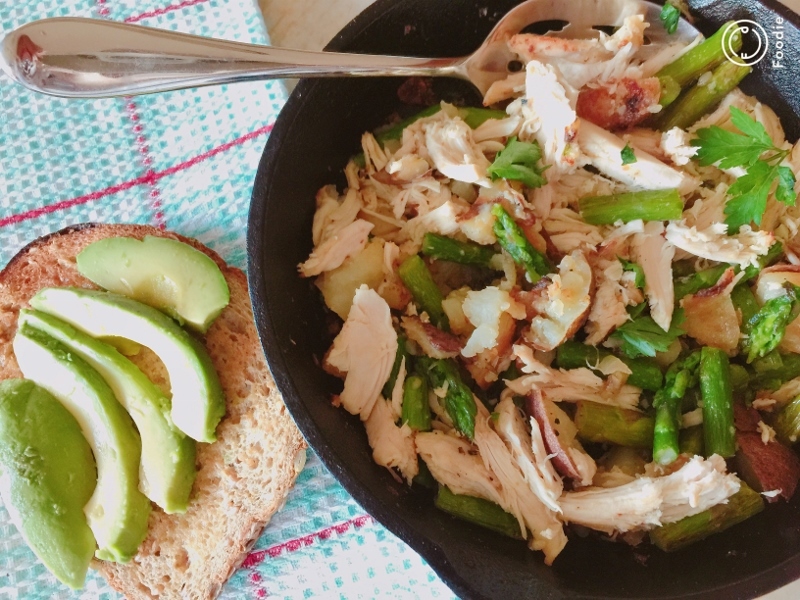 I love the idea of just tossing some great ingredients together and brunch is served. Serve the hash with avocado toast, sparkling mimosas and great tunes spinning on your turn table – fun. 1. Wash and slice asparagus into 2-inch pieces and mince shallot. 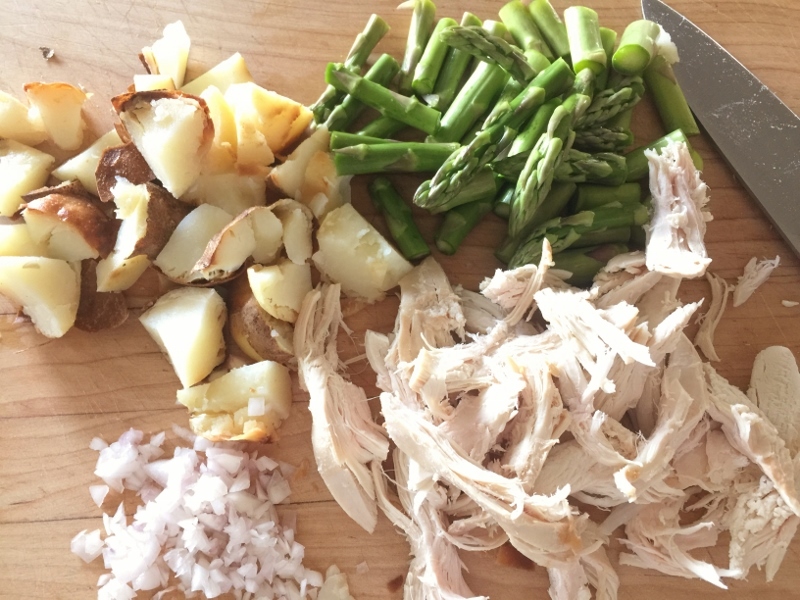 Slice potatoes and shred cooked chicken. 2. 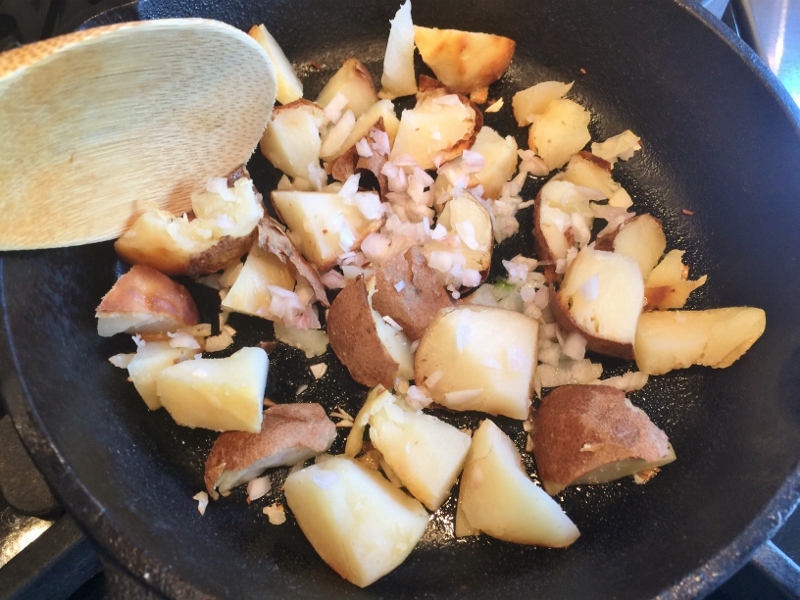 In a large iron skillet, add 2 teaspoons of olive oil, shallot and potatoes. Place over medium high heat. Saute for 4 minutes or just until the edges of potatoes start to brown. Add asparagus and toss to combine. 3. Add 1/3 cup of water to skillet and stir. Cover pan with lid and turn heat to low. 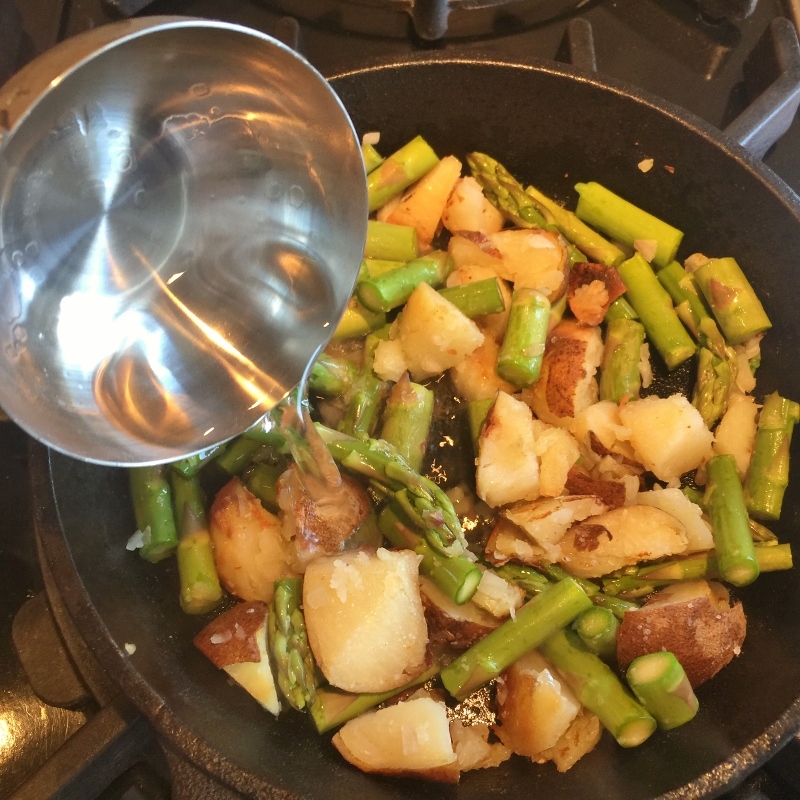 Cook for 4 minutes or until the asparagus become al dente (fork tender). Remove lid and add chicken, stir. Drizzle the top of skillet with 2 teaspoons of olive oil and increase heat to medium-high. Continue to cook for 4 minutes, stirring occasionally. 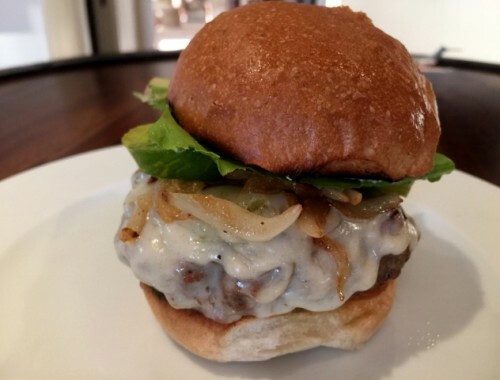 Serve with your favorite brunch treats. Enjoy! Rosemary Olive Oil Tea Cakes – Recipe!